Where does your mind go when you hear that phrase? Depends on how you’re affected, beginning with your age. If you happen to be the lucky soul turning Sweet Sixteen, you’re excited, ready to get behind the wheel of that car, ready to take on the world. If, however, you happen to be the parent of the sixteen year old, I’d like to offer the thought of Sweet Sixteen as an oxymoron. Sitting in that passenger seat gives you a panoramic you may not wish to view. Three for three of our boys will tell you their least favorite time of my mothering came when they got their driver permits. It forced me in the passenger seat for six very long months. Their favorite phrase to utter became my least favorite one to hear: “Move over, Mom, I’m drivin’….” It’s a wonder I didn’t punch a hole in the floor or rip off a door handle. Naturally my sweet husband, the adventurous one, loved teaching the boys to drive. Somehow, tho’, I was usually the one with them because of school, etc. This week in our fifth and final post on fear, we are going to bring home some tactics to carry with us when we encounter fearful situations. 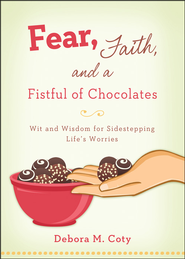 I’m sad to bid farewell to my favorite little book on fear by Debora M. Coty, Fear, Faith and a Fistful of Chocolates—Wit and Wisdom for Sidestepping Life’s Worries. Again, to grasp the entirety of the book requires you read the entire book. 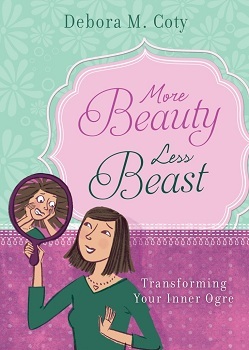 It’s so good and includes twenty-two amazing chapters. I’ve simply given you morsels. A certain “activity” seems to be haunting me, no thanks to different authors, who do not know each other, yet who seem to truly believe in this activity. It surfaces in Bible studies I’ve done repeatedly. When this happens, I firmly believe it is our precious Lord getting our attention. The “activity”? Scripture memorization. Groan…..I s’pose I avoid it because I’m not gifted in this area. I can’t remember milk at the grocery store, much less multiple words…And yet, the benefits are innumerable. Rob Morgan wrote a wonderful book that is the perfect addition to your library and hopefully your Scripture arsenal. 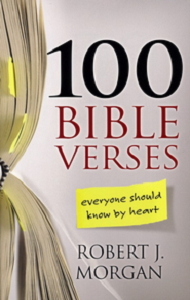 It’s 100 Bible Verses Everyone Should Know by Heart. So whether or not you’re jumping into the passenger seat with your sixteen year old, or walking down the halls of a hospital for tests, or sitting in a motorcade of a funeral, or facing one of your biggest hurdles, hold on to the best lifeline available, God’s Word. He will sustain you. 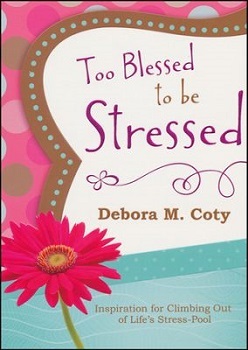 I pray you’ve been encouraged to “fear not” after our five weeks together, thanks to Debora’s wonderful book. Thank you, Debora! Your faithfulness has helped so many of us! I also pray you and your families will have a most blessed Christmas season and reflect on our Lord and Savior, Jesus Christ and His most amazing birth. This week’s chocolate recommendation: a delicious, but disastrous discovery from Costco—and you get not one, but six packages of brownie mix. 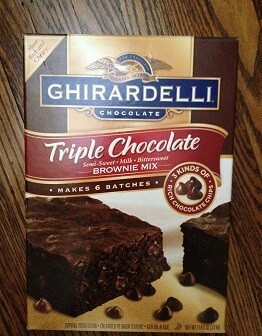 Try Ghiradelli’s Triple Chocolate Brownie Mix. This week’s post is dedicated to my new friend and counselor (!!! 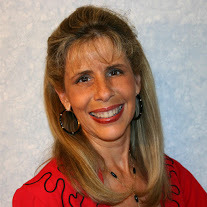 ), author Debora M. Coty. I have never enjoyed a book more. 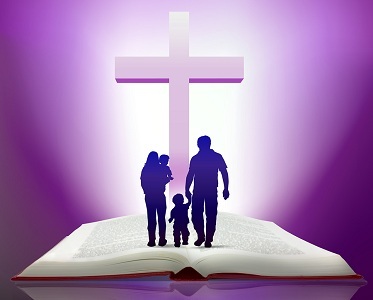 I’ll be reading and re-reading Fear, Faith and a Fistful of Chocolates ‘til the Lord returns. And I can’t wait to start your other books! Merry Christmas and thanks for your wonderful inspiration!!! God’s Blessings!!! Timely post my dear! Maybe some like me may fear they won’t get everything on their list accomplished! 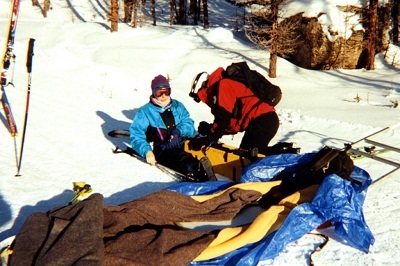 Others may fear “family” time at Christmas. Others may fear what 2014 could bring. Ah, that we have a Lord who brings peace when we spend even moments in His presence…priceless! 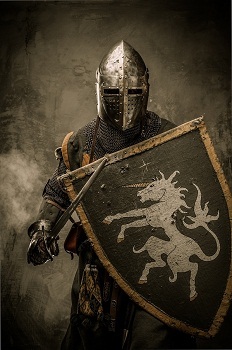 Thank you for the encouragement to arm myself against THE enemy by storing up God’s Word. Now that is a worthy New Year’s resolution. Oh, Elizabeth – I can’t tell you enough how much I’ve loved, loved, loved the wonderful augmentation you’ve brought to many of the chapters in Fear, Faith, and a Fistful of Chocolate! Our styles are so similar, we should get together and co-write a book. But of course, it must be related somehow to chocolate – the silken thread that ties together the hearts of women! And hey, I must add an UBER important comment to your recommendation of Ghirardelli Triple Chocolate brownies – if you top the warm brownies just out of the over with Dove mint and dark chocolate swirl silky smooth promises, they’re totally to die for! I just made some for a Bible study party today and I can’t keep my greedy little fingers off them. I hope there’s some left for the girls when they get here. A very merry and blessed Christmas to you, my sweet friend!! Thank you, and Merry Christmas, Elizabeth!